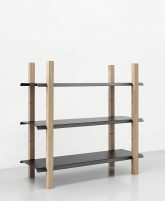 Slot-Shelf’s task was to create a shelf, which is easily transportable — in a thin and handy cardboard box — and does not require any tools or screws to assemble. 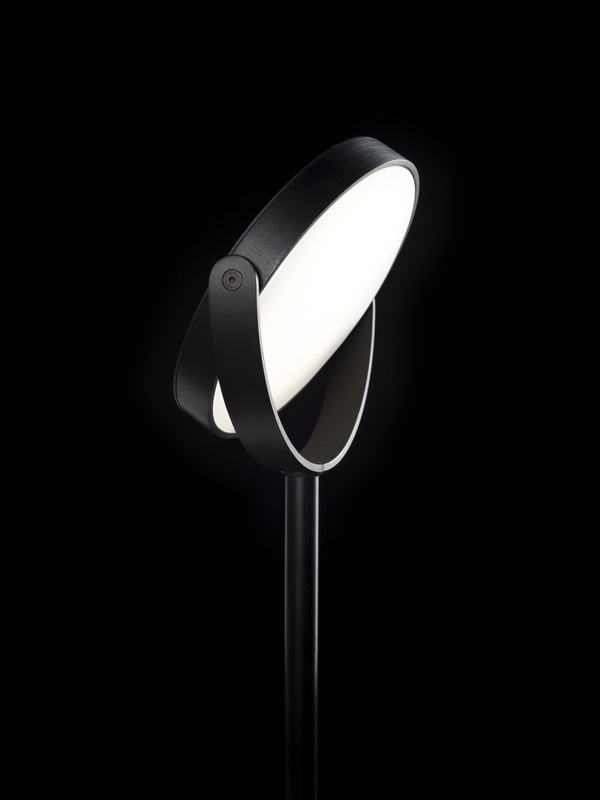 It traces the main design idea behind Slot-Trestle but applies it to a larger object. 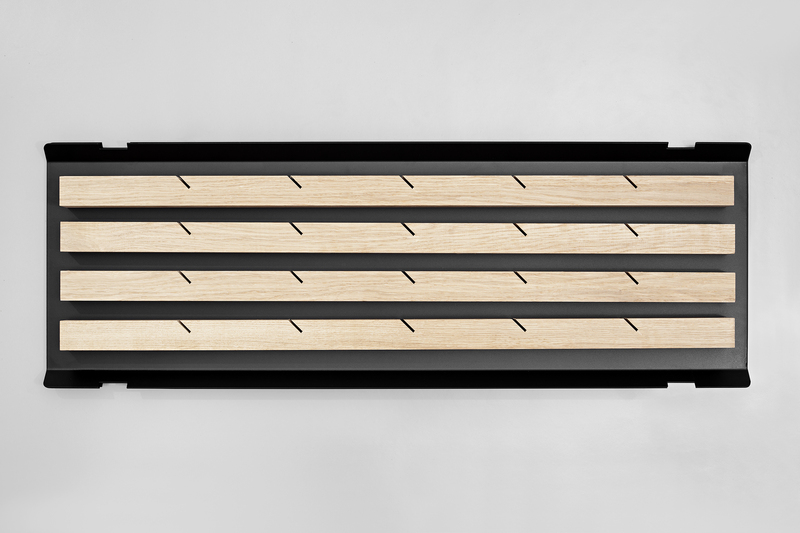 It draws inspiration from Japanese woodworking and timber joints. 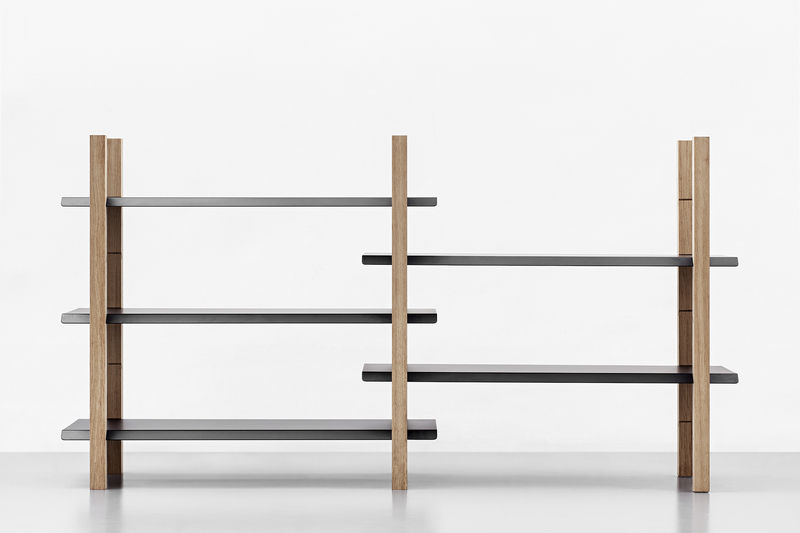 Each shelf post has five notches into which a chamfered metal sheet is plugged. 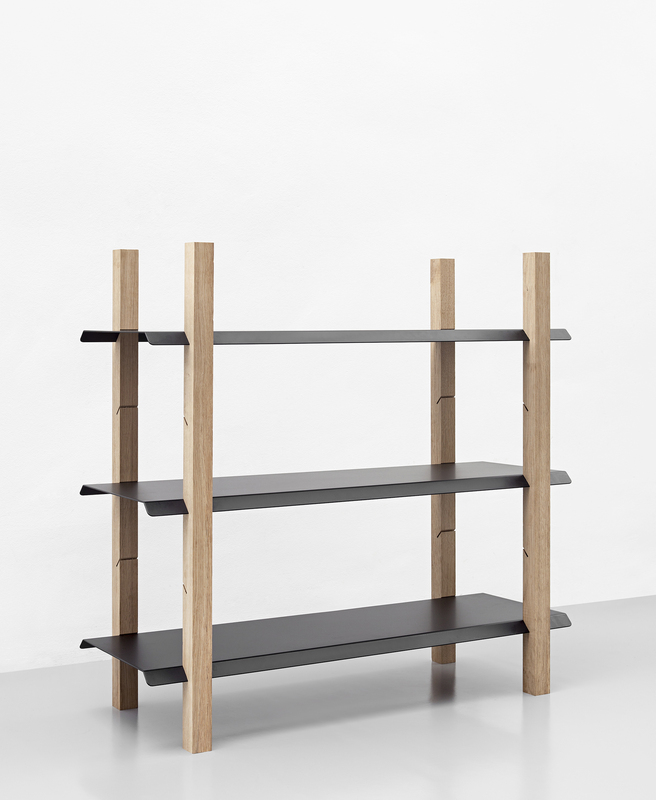 The shelf is modular and self-supporting. The rigid pattern of the shelf posts and the offset lines drawn on the wall behind by the sheets bare an abstract resemblance to Japanese timber interiors.